Latin America is home to emerging global powers such as Brazil and Mexico and has important links to other titans including China, India, and Africa. 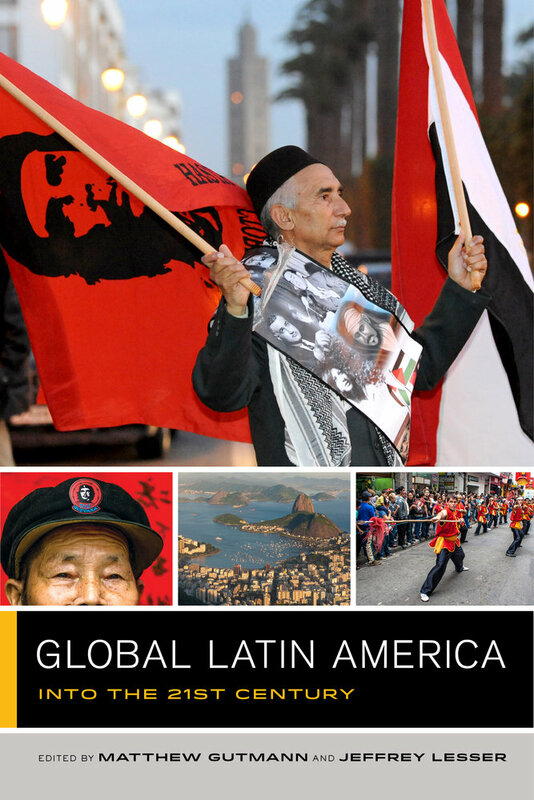 Global Latin America examines a range of historical events and cultural forms in Latin America that continue to influence peoples’ lives far outside the region. Its innovative essays, interviews, and stories focus on insights from public intellectuals, political leaders, artists, academics, and activists from the region, allowing students to gain an appreciation of the global relevance of Latin America in the twenty-first century. Matthew Gutmann is Professor of Anthropology, Director of the Brown International Advanced Research Institutes (BIARI), and Faculty Fellow at the Watson Institute for International and Public Affairs at Brown University. Jeffrey Lesser is Samuel Candler Dobbs Professor of History and Chair of the Department of History at Emory University. 17 • Traveling Melodrama: Telenovelas and Exporting Southern Moralities; or, How Can Something So Bad Still Be So Good?